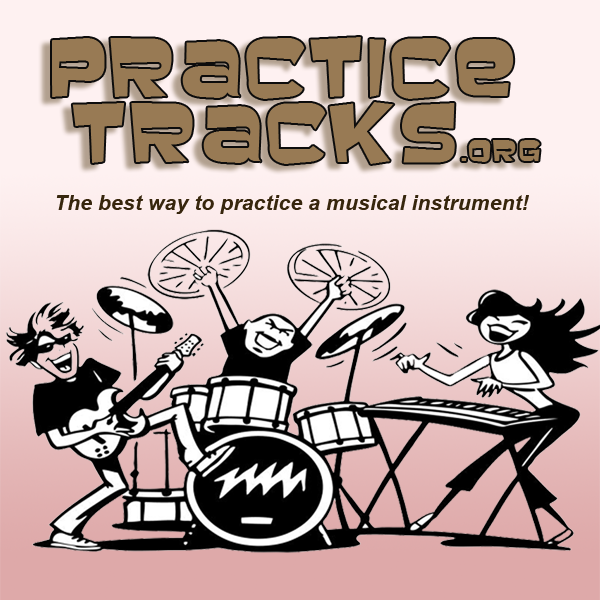 PracticeTracks are musical tracks that play in your browser. These are fully notated arrangements of songs you're probably familiar with - popular songs, classic rock and roll songs, and many traditional songs. PracticeTracks are a great way to Teach Yourself how to play a musical instrument. We have tracks for beginners and more advanced players. 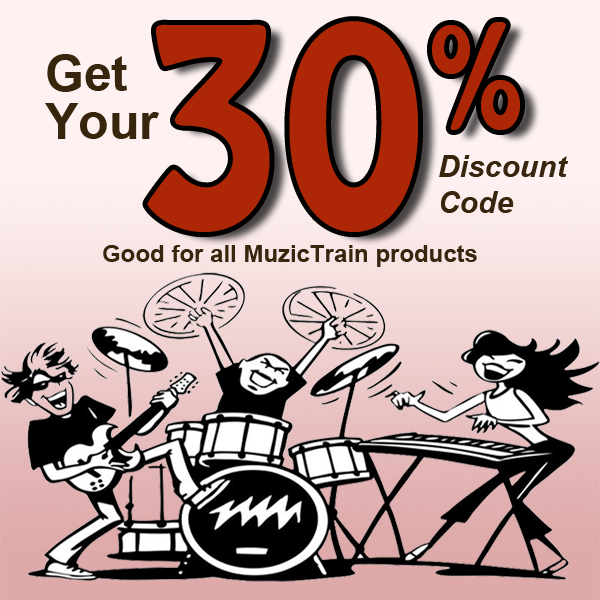 Tracks for Guitar players, horn players, bass players, drum players, and more. Each score has the individual parts so you can see what's happening. Whether you can read music or not you can play along with the virtual band! Arrangements have parts for piano (keyboard), melody, bass, and (usually) drums.